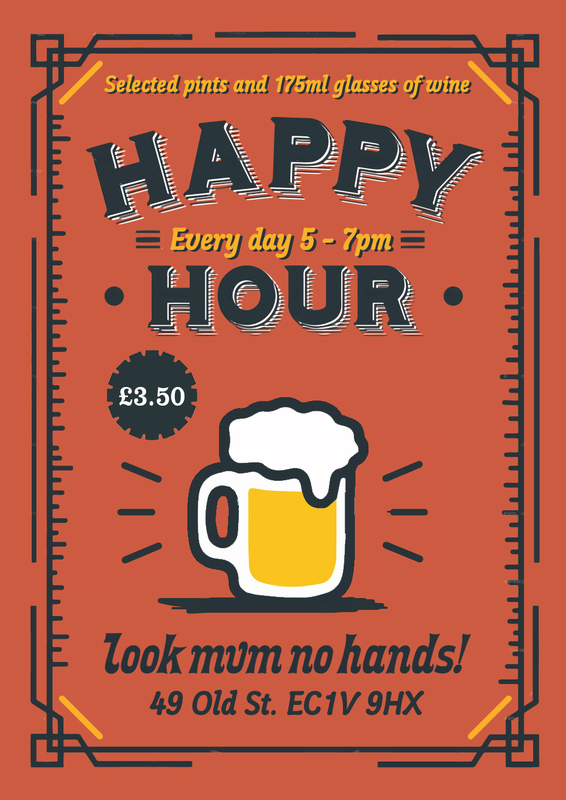 Happy Hour at 49 Old St. | Look mum no hands! Happy Hour at 49 Old St. Put a smile on your face with discounted booze during our Happy Hour, EVERYDAY at 49 Old St. from 5 - 7pm.